Aleksandra joined Euromontana in November 2018 to act as Interim Director. She studied European Studies in Poland, International Business in France and is now pursuing her third master’s degree (online) in Sustainable Mountain Development in Scotland. She brings over 10 years of experience in private and public sector across Europe. During the last 5 years she worked in associations for the European innovation ecosystem and startup development. Her professional attention to sustainability came as a result of direct exposure to related issues in the mountains where she enjoys being as an avid climber and alpinist. She speaks Polish, English, French, Italian, Spanish, has some knowledge of German and Dutch topped up with notions of Russian. Lauren joined Euromontana in July 2016 to work on Horizon 2020 projects SIMRA and PEGASUS. 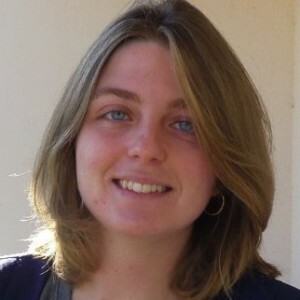 She has a degree in agriculture science from l’Ecole Nationale Supérieure of Toulouse and has previously worked for the French Ministry of the Environment. Originally from Grenoble, she loves mountains and is otherwise interested in the impacts of climate change, in the energy transition and in sustainable development in general. She speaks English, French and a little bit of Spanish. 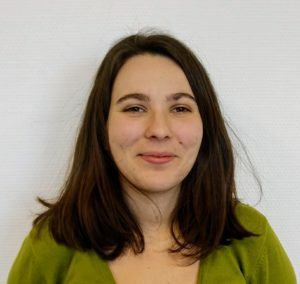 Blandine joined Euromontana in February 2019 to work as a Communication and Policy Officer. She has a degree in European policies from Sciences Po Strasbourg, in the heart of the Vosges. Blandine has previously worked with the European Coordination Via Campesina in Brussels, where she got involved in the CAP reform. Originally coming from a rural region, Blandine is highly interested in agriculture, climate change and sustainable tourism and she is very motivated to promote the potential of mountain areas. She speaks French, English and Spanish.